Unofficial election results show that Vermont voters turned out Tuesday in record numbers for a midterm election. According to data from the Secretary of State's Office, about 279,806 Vermonters cast ballots, roughly 57 percent of registered voters in the state. Before Tuesday, the record high for a Vermont midterm came in 2006, when 262,568 people — 60.56 percent of registered voters at the time — cast ballots in the final midterms of president George W. Bush's tenure. Secretary of State Jim Condos, who oversees Vermont’s elections, confirmed that 2018 may set a record for the most ballots cast in a midterm, but said the election likely won't set a record in terms of turnout percentage. He said that’s because the number of registered voters in Vermont is steadily rising. Vermont established automatic voter registration two years ago, Condos said, which has also been a major factor in the growing registration numbers. Under that policy, known as the “motor voter” law, Vermonters are automatically registered to vote — unless they opt out — when applying for a driver's license at the Department of Motor Vehicles. Condos said those policies made a clear difference this year: Between January 1 and October 30, more than 9,000 voters registered online and about 17,000 more were automatically registered through the DMV. 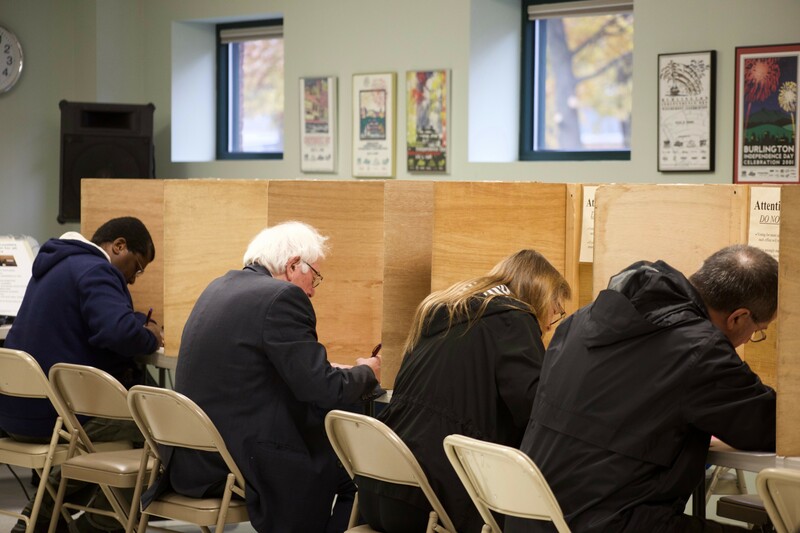 Before the polls opened, there were 485,587 registered voters in Vermont. Another policy, same-day voter registration, means that number was likely slightly higher by the end of the day. Condos cautioned that the 2018 totals are still preliminary and unofficial. The results are expected to become official next Tuesday, November 13, when his office formally certifies them. Turnout is historically lower in midterm elections than in presidential years. The all-time voter turnout record in Vermont was set in 2008, when 326,822 people — 72 percent of registered voters — cast ballots in the election that propelled Barack Obama to the presidency. Democratic polling made it clear President Donald Trump’s divisive rhetoric motivated Vermont’s liberal base to vote, Anderson continued. The early results suggested Democrats and Progressives secured a veto-proof majority in the Vermont House of Representatives, an achievement that could stymie Republican Gov. Phil Scott in his second term. In this episode, Bryan reflects on last week's midterm elections. Lt. Gov. David Zuckerman, a Progressive and Democrat, will return to the Statehouse for a second two-year term.